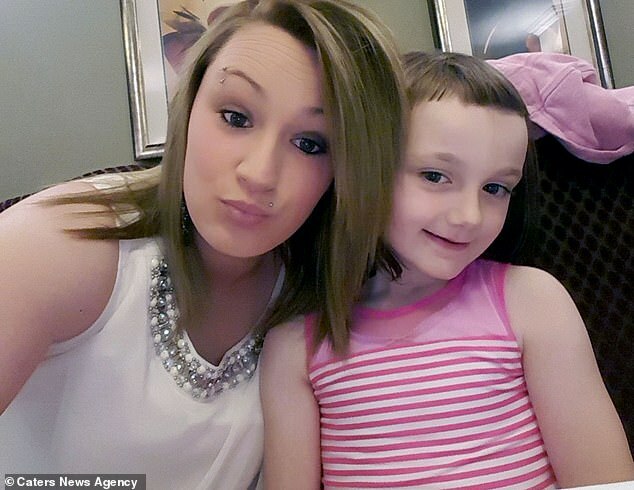 Megan Wharry, nine, hacked off her hair in a botched trim that left her looking like Jim Carrey’s character Lloyd from nineties comedy Dumb and Dumber. 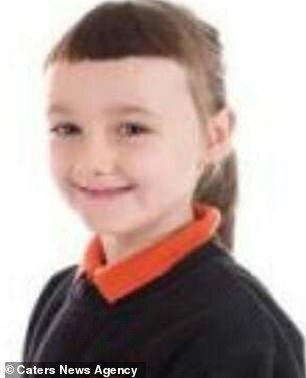 Gemma, from Larne, Northern Ireland, said: ‘I’d just got her hair cut into a nice bob with a fringe, all ready for her only second ever school photo. I left her watching TV, whilst I headed for a quick shower. ‘But unbeknown to me, there were a pair of scissors on the draining board, and Megan wasn’t as big of a fan of the fringe as it was.